Home Articles News Scientific publications Natural claims: which are the most efficient? The consumer’s choice is influenced by various sensory and non-sensory information. Regarding non-sensory attributes we can include product identification, location of purchase and consumption, previous experiences with the product or the brand, origin, safety, nutritional properties, benefits, health, beyond the personal habits of the consumer. The perception of product characteristics shown to be affected by many factors, which include sensory attributes that interact with psychological, behavioural and cognitive factors in the consumer experience, influencing their perception. The context and experiences also affect this interaction. The expectation can be generated by external and non-sensory attributes, such as packaging, claims and labelling. The packaging may lead consumers to buy the product, while the sensory characteristics confirm the assessment and may determine the recurrence in purchasing. 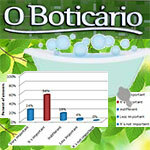 The aim of this study was to evaluate which natural claims have the power to capture the attention of consumers to buy a premium product of bath.